We also provide catering for outdoor events such as weddings, birthdays and promotions. 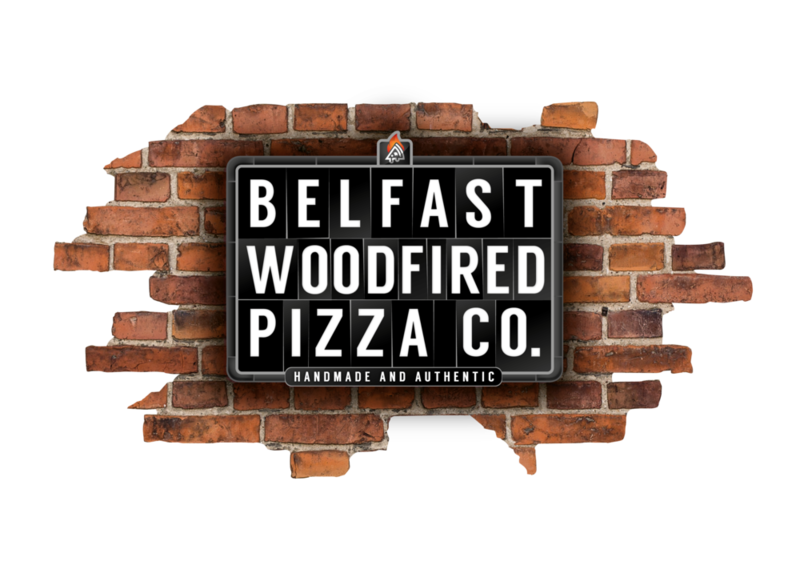 Our Woodfired ovens can come either in a standalone oven which can be used under a marque or our pizza wagon which is fully stocked with your favourite pizzas. Get in touch to see what we can offer your to make your special day even more special. Our pizzas have been a hit down at St Georges market with our stall selling out most nights! Hurry and get down to the next one to try our fresh pizzas and finish off with some of the delightful treats around St Georges market! After training hard and cycling the Giro D'Italia, the cyclists were able to refuel on their favourite pizzas. In typical Northern Irish fashion the weather shortly changed after this and not only were we a source of food but also a source of heat and cover from the elements! Call (+44) 028 90 914903 from 11am – 1opm daily, or drop us a message on facebook.